The big game is almost here! It will be fun to once again see my hometown friend Roman Harper in the Super Bowl. Roman and I graduated from the same high school and his brother and I were in the same graduating class. His parents still live right close to mine, in fact! 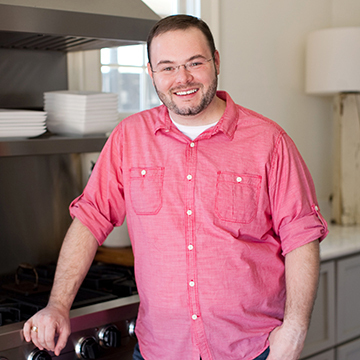 And everyone knows the Super Bowl wouldn’t be complete without a delicious spread! 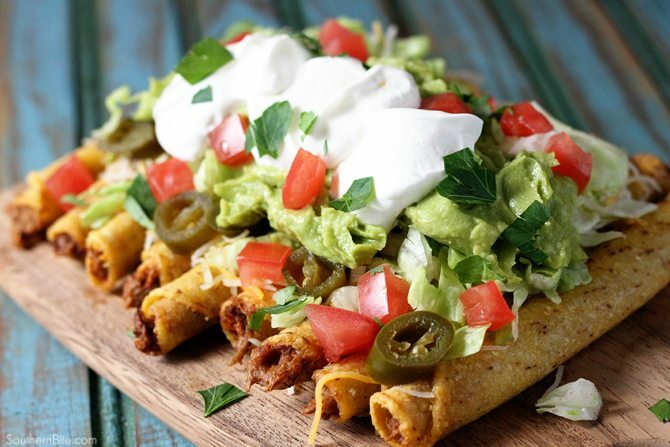 Whether it’s game day or any day, these Loaded Beef Taquitos are the perfect easy snack! 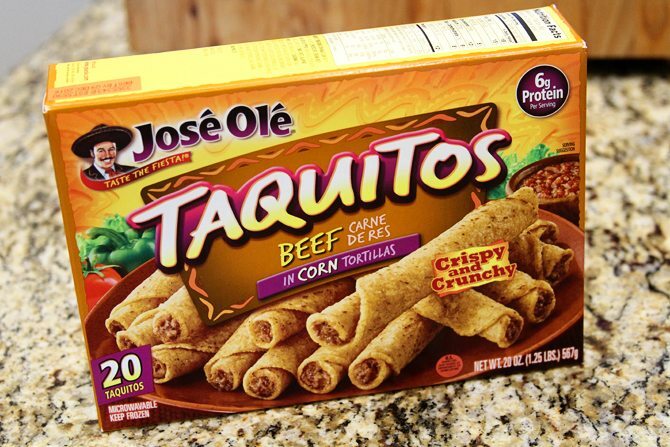 José Olé makes it fun and super easy with their frozen beef taquitos. 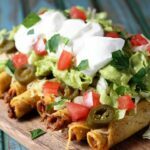 Simply warm them according to the package instructions and then top them with your favorite toppings just as you would nachos! I added cheese, shredded lettuce, guacamole, sour cream, chopped tomatoes, pickled jalapenos, and a sprinkle of fresh cilantro! It’s an amazingly delicious snack or appetizer. And with 6 grams of protein per serving, this will fill up even the hungriest of fans! 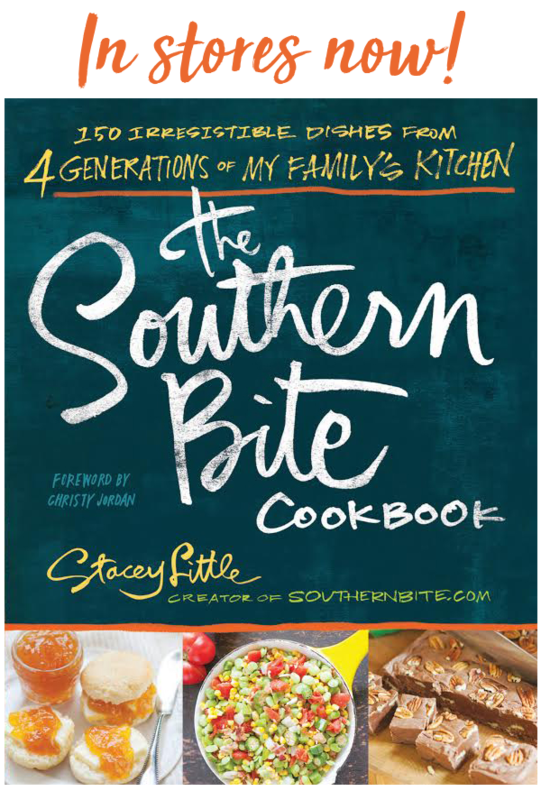 Right now, you can get $2.00 off your favorite Jose Ole product! Just hurry and print yours before they run out! 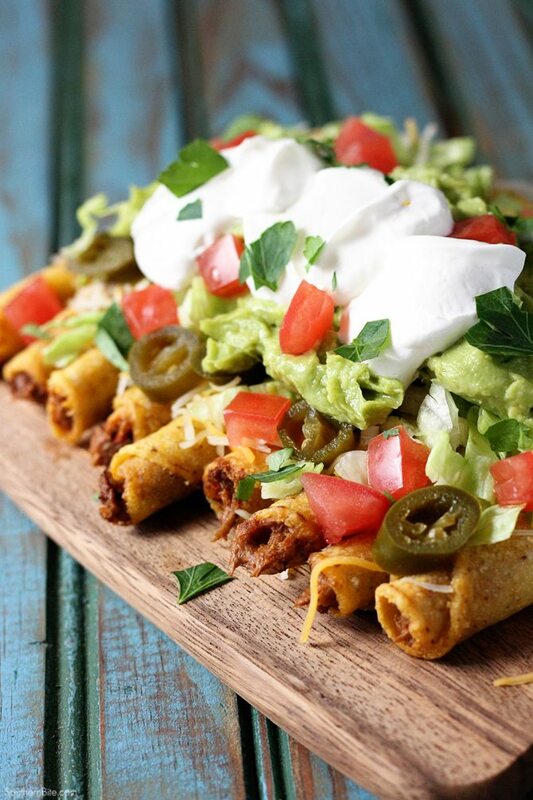 Cook the taquitos according to the package instructions then line them up on a serving dish and top with your favorite toppings just like you would nachos. Enjoy! Yum! 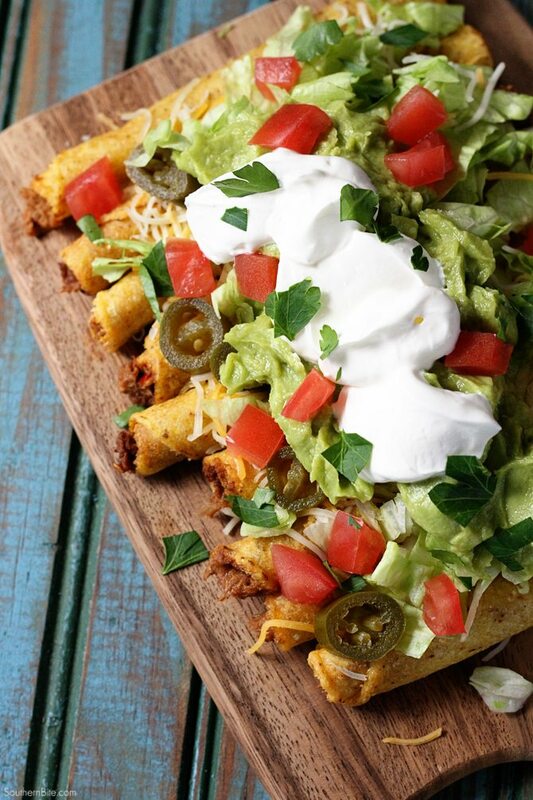 These look so good for SuperBowl Sunday! Or any Sunday!!! Looks awesome …………. Yum! Quick and easy! Would be easy to do for just one (which is me).